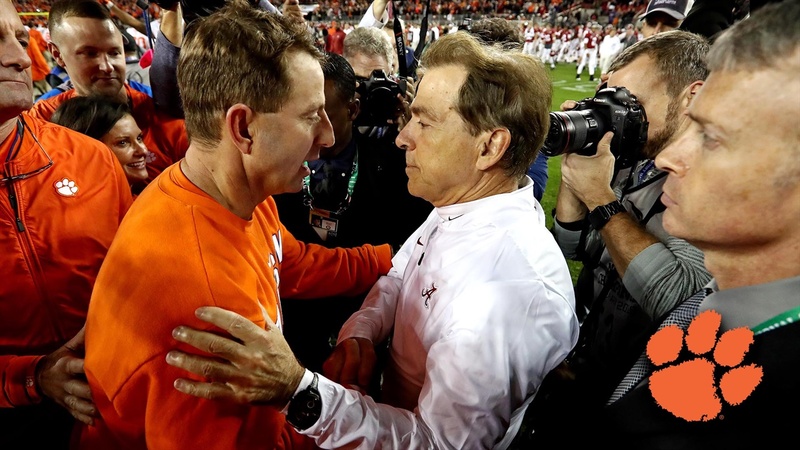 A day after Clemson defeated Alabama in the CFP National Championship, Dabo Swinney reflected on the newly elevated status of the Tigers and their rivalry with the Crimson Tide. Swinney said it used to be more like a little brother sibling rivalry, but now the Tigers are even with the Tide in CFP National Titles with two apiece. After the game, Swinney said that he told Nick Saban that he would see him next year.